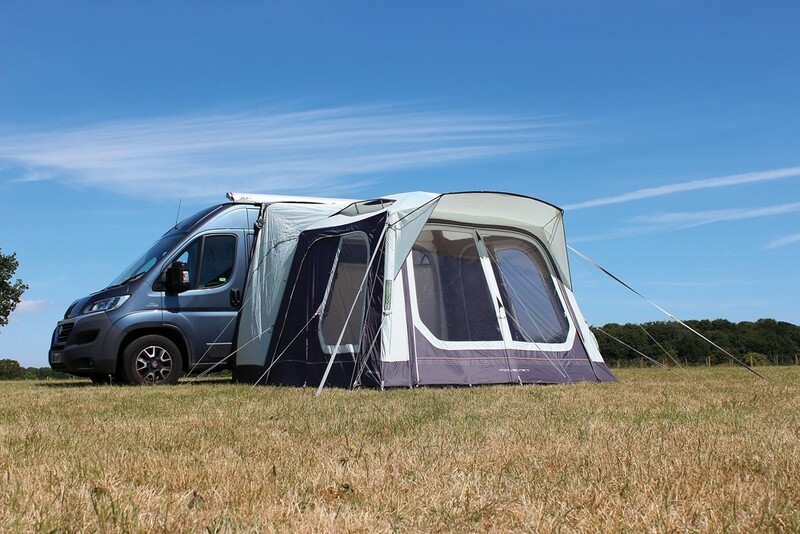 The Outdoor Revolution Movelite T1 returns for 2019 as part of their popular Movelite T drive away awning range. The Movelite T1 inflatable awning has been redesignedwith new enhancements to make it the most versatile drive away awning on the market. 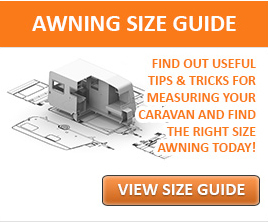 This High version is designed to fit motor homes and camper vans with an attachment height of 255cm to 305cm. The Movelite T1 air awning has been created using Outdoor Revolution’s premium480HDE double rip stop material. This enhanced fabric offers a fantastic strength to weight ratio. It provides durability whilst being lightweight enough for easy handling. This inflatable drive away awning features a zipped in polyester groundsheet which can be removed and replaced with the optional breathable groundsheet to suit the demands of some caravan sites. Outdoor Revolution has added a front eyebrow canopy for 2019, offering a greater weather protection when it’s raining. Ventilation has also been added in the interconnecting rear cowl door and roof ensuring a better flow of air in warmer climates. Outdoor Revolution incorporates their super efficient Dura-Tech single point inflation frame to the Movelite T1 awning. 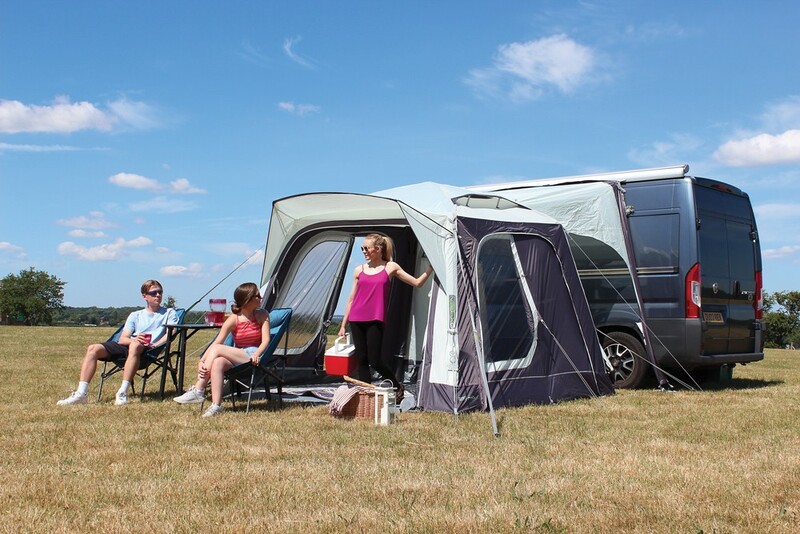 This makes the Movelite T1 extremely quick and easy to inflate, making it the perfect awning for short trips away with your motorhome or camper van. It comes complete with a telescopic steel roof pole which can be used to provide additional stability to the awning. 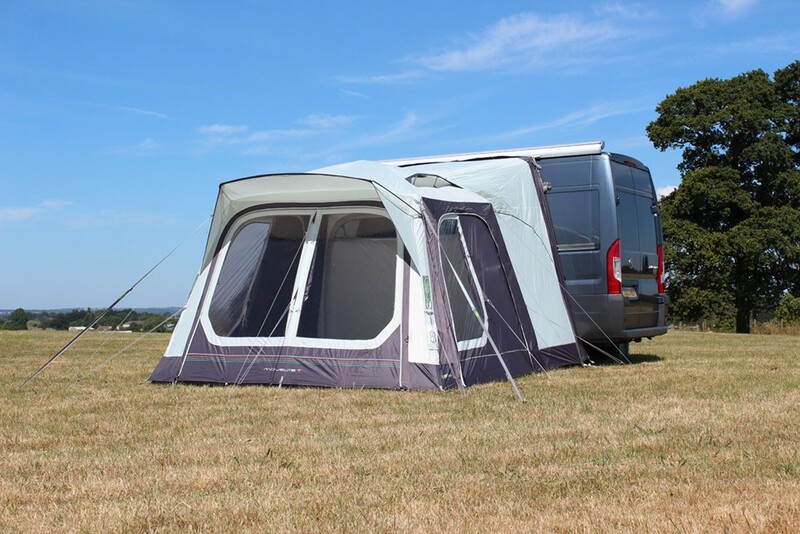 If you require more space to your Movelite T1 awning, the optional Movelite T1 Annex can be attached to either side. This is a great way to create an additional storage area or sleeping accommodation for guests. 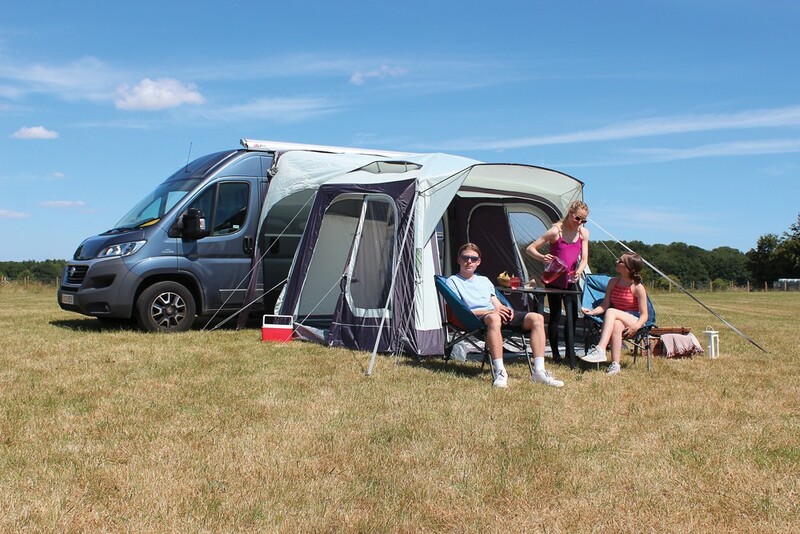 The Movelite T1 Annex comes complete with a two berth inner tent which will comfortably sleep two adults or three smaller children.